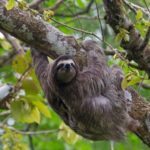 These animals are mammals, closely related to the sloth and the anteater. 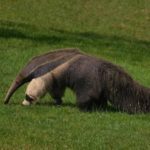 But neither the sloth nor the anteater has the ability to grow bony outer armour. 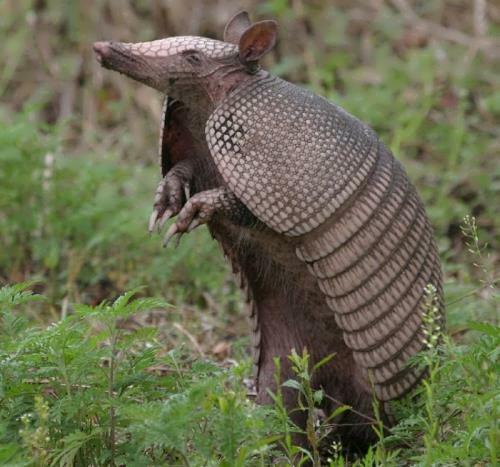 The armadillo is the only mammal which can grow and wear its own protective bone plates that are called scutes! Their babies have soft shells, like human fingernails, but as they grow older the shells get harder. Armadillos mostly eat insects. 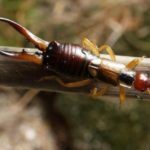 They catch bugs using their long, sticky tongues. 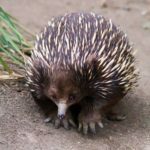 They also use strong claws to open and destroy anthills. They can sniff out bugs and worms hiding in the ground and dig them out. 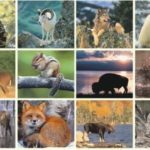 The animals dig burrows into the ground, usually under a tree root. They filled their burrows with leaves to make a soft bed. 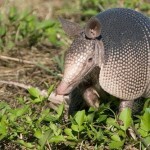 Armadillos live in Central and South America and in the southern parts of the United States. 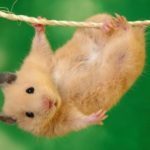 They can only live in warmer climates as they don’t have a lot of body fat. 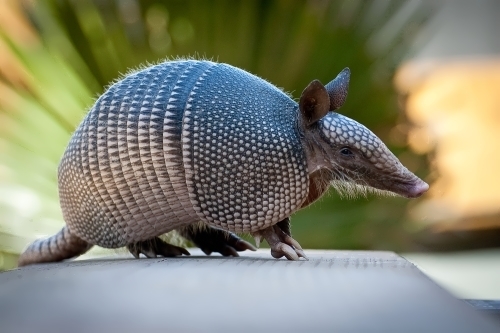 There are about twenty different kinds of armadillo. 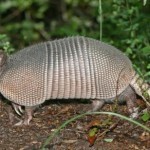 The most common one is the nine-banded armadillo. Its tail is almost as long as its body. When a female gives birth, it’s almost always to four babies at a time. These four babies are all identical because they developed from the same egg. The nine-banded armadillo is the only mammal to have identical babies at a time, every time. If female armadillos are caught while pregnant, they can delay the development of the babies until it seems safe to have babies! 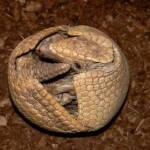 Only one kind of armadillo can roll itself into a ball when it’s scared. 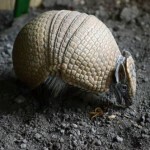 It is three-banded armadillo. Armadillos are very good swimmers and can hold their breath underwater for four to six minutes at a time. Because of their heavy shells they can walk on the bottom of a stream or a pond. 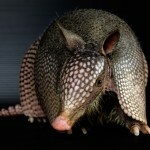 Some people keep armadillos as pets. 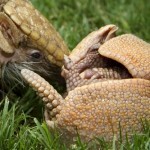 But like most wild animals, armadillos are happier when they live without cages.